While driving the wrong direction down a one-way street, a Google Street View Car collided into another vehicle in Little Rock, Arkansas. The Smoking Gun obtained the police report for the crash, which took place Wednesday evening, after the Google Street View driver, Alexander Spurr, attempted to make a U-turn when he realized he was traveling the wrong way. He reportedly struck another vehicle when he crossed over to an adjacent road during the U-turn. The other driver claimed Spurr ran a red light. Police cited him with careless prohibited driving and estimate $1,500 in damages to Google’s car, and $2,000 for the other automobile, a 2008 Mazda. 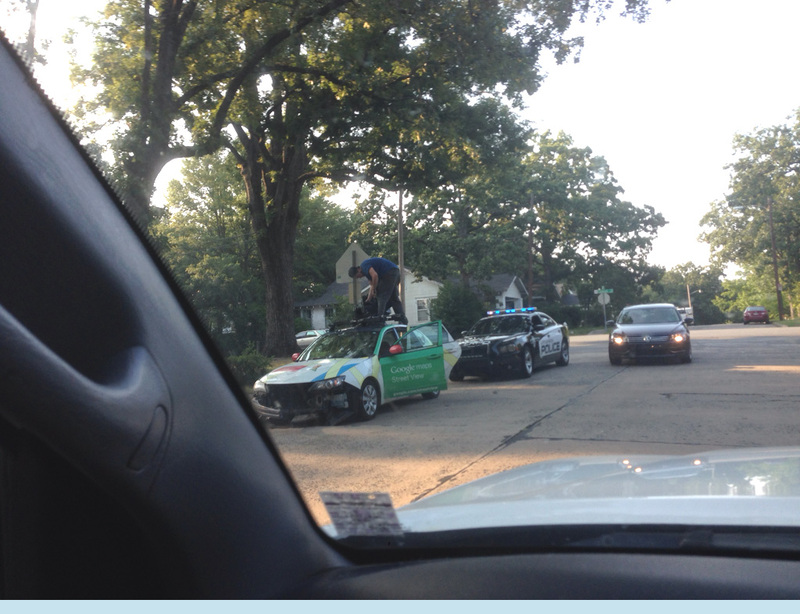 Photos taken at the scene show the Google Street View car without a bumper. The driver who was hit said he suffered whiplash and bruised ribs from the crash, and could miss three weeks of work. He plans to take legal action. Fast Company has reached out to Google for comment on the news.